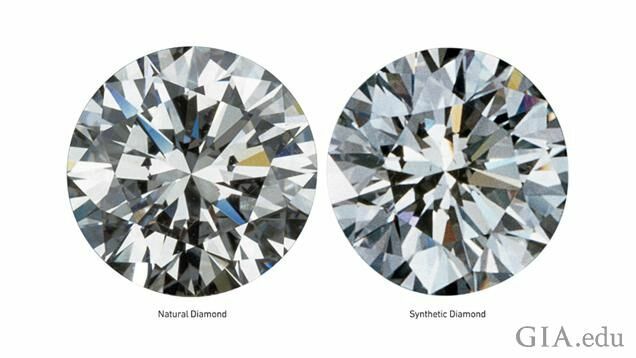 Mined vs Cultured Diamonds - do you know the difference? Cultured diamonds often confuse people because of the term “cultured”. Some people associate it with “cultured pearls” which are natural pearls that grown in farms. However, we cannot say the same thing about cultured diamonds. This type of diamonds are synthetic and manufacturers produce them in labs. Some jewelry stores try to trick their clients to pay more by using the term “cultured diamonds” as opposed to “synthetic diamonds”. Make no mistake, it’s the same thing. This being said is it a good idea to buy cultured diamonds? Read further to find out more about the differences between those two types of diamonds and what you should expect to get. Mined diamonds are gemstones that occur naturally in the Earth’s crust. Perhaps you didn’t know this, but it takes somewhere between 1 billion and 3.3 billion years for a diamond to form inside the Earth. Their rarity and the tremendous amount of time it takes for a diamond to grow makes them the most expensive stones. Nowadays, companies mine diamonds from certain parts of the Earth and use them to create jewelry. In other words, mined diamonds are nothing but natural diamonds. Cultured diamonds, on the other hand, grow in laboratories. Don’t imagine that this is an easy process, but it certainly takes less time. You can grow a diamond in a lab overnight, but you need to have the right tools and expertise. Usually, laboratories use one of two methods of creating diamonds – High-Pressure High Temperature or Chemical Vapor Deposition. The first method uses heat applied to graphite and it can take a couple of days to create a diamond. The second method uses an actual diamond in a room with natural gas and a microwave beam. This way, scientists expand the diamond and create a bigger stone which, afterward, they cut into tiny diamonds. In a nutshell, cultured diamonds contain the same material as natural ones. However, they are man-made and do not appear naturally. As you may know, natural diamonds usually have black spots or blemishes. Cultured diamonds, on the other hand, have a greater clarity than natural diamonds because they appear in controlled environments. Nevertheless, a cultured diamond will always be cheaper than a natural one of the same quality. So when it comes to the aspect of your diamond jewelry, you can expect to get more brilliance from a cultured diamond. However, many people prefer natural diamonds because of their rarity and fascinating history. When you are out shopping for jewelry and want to get a diamond ring, for example, you will not be able to tell the difference between cultured diamonds and natural ones. You won’t simply look at the diamond ring and know its provenience. Instead of trying to discover visual clues, you should look at the diamond’s grading report. Usually, independent third-parties grade a diamond and have the means to determine its provenience. That information you will find in the diamond’s certificate. Ask for the certificate before buying the stone to verify its provenience. This way you will know for certain if you are buying cultured diamonds or natural ones. In terms of price, cultured diamonds with good clarity will cost way less than a high-clarity natural diamond. Whereas cultured diamonds are from the same material as natural ones, fake diamonds are, as the name suggests it, fake. They do not share the same properties with the natural or cultured diamonds. They are less expensive to create and do not have the same durability or clarity as natural diamonds. Fake diamonds which have nothing to do whatsoever with diamonds. They contain different materials and have different properties. This being said, it is up to you to choose what you want. If you are buying an engagement ring or a wedding band, you should buy either natural or cultured diamonds. On the other hand, if you are buying a statement necklace which you will only wear a couple of times, you can also get fake diamonds. However, make sure that you don’t buy fake diamonds and pay for natural ones. Always ask to see the certificate and do your research before purchasing a piece of jewelry. And speaking of high-quality premium jewelry, check out Ana Luisa online jewelry shop. You will discover limited-edition unique collections that will help you upgrade your jewelry box and your personal style.